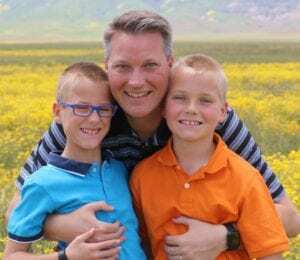 Professor Martin Mehl with his two boys. In our first-ever Screencast-O-Matic profile, we feature California Polytechnic State University, San Luis Obispo, Professor Martin Mehl who believes we can change the world through video communication. For the past 20 years, Mehl has taught communication studies to students in higher education. He believes that video learning plays a huge role in building and maintaining authentic relationships. As a professor, these relationships enable him to become a mentor, opening a pathway of trust and respect with his students. Mehl and Instructional Designer, Dr. Luanne Fose, studied the effects that video can have in teaching through their analytical research, ‘Digital Academic Revolution.’ The study tasked faculty to provide video feedback and apply mentorship principles with their students. They found remarkable results with participating professors who say they were able to save time, provide personal feedback and foster authentic relationships with students. They were recognized at the Online Learning Consortium (OLC) “Innovate/HBCU Affordable Learning Summit” in New Orleans, LA with the “2017 Effective Practice Award” for their Digital Mentorship Competency (DMC) Pedagogy. Our team at Screencast-O-Matic spoke with Professor Mehl about his passion for education, how technology plays a role in it and what advice he would give fellow educators. 1) Why did you become an educator? Throughout my childhood, adolescence and college years, my parents have been inspiring, selfless and generous, allowing me to explore the world and the mind. It has always been my goal to institute change in board rooms, or at negotiation tables, and to lead with wit and skill. As a teaching scholar in graduate school at Emerson College, I discovered the pure joy of watching students’ eyes light up as they became empowered to better comprehend the world around them. It takes genuine caring and interest to unlock the full potential of others. You need to be able to see the big picture, to permit their brush strokes and little drawings to become the big painting on their canvas of lifetime learning. I have been humbled and grateful to have served as a faculty member at California Polytechnic State University in San Luis Obispo, CA for more than 15 years. I feel the power of my profession every day in the success of my former, current and future students everywhere. Being an educator isn’t a career; it’s a lifestyle and a decision to empower others to succeed and persevere. With my students’ trust and respect, I often act as an “academic dad.” In this role, I model, motivate and mentor the highest quality of communication, so we can change the world together. 2) When and how did you discover that video would play a huge role in education? As an international college student in the 1990’s, I had a triple major: two formal ones in Journalism and Political Science, and an informal one in American culture. I emerged myself in pop culture through television, radio and gradually online. This enabled me to comprehend the audience around me. I specifically remember the impact of the Olympic movement and the power of getting people to come together in front of the screen. Communicating with family and friends abroad, I discovered the power of asynchronous and synchronous communication first-hand. Studying abroad at the University of Sydney made this even more clear, coordinating with loved ones on three continents in three time zones. My “a-ha” moment came after spending a long time explaining research methods to a student one-on-one. They regretfully said, “I wish I would have recorded that.” I thought… “why not?” If I can communicate that way with friends and family, I should be able to do that for my students. There is only one of me, and there are hundreds of them. I can’t create more time in the day, so I needed to be more efficient, yet more impactful, so I “cloned myself” onto the screen. This freed up time for other vital tasks like advising and mentoring, preparing students for study work abroad, internship opportunities, job interviews and other life events. Video feedback allows for individualized and personalized education. 3) You’ve done a lot of research on the impact of video, what do you believe is the main reason why educators should switch from the traditional mindset of teaching to a more technological one? Video feedback removes lots of barriers; it can be more personal. The traditional format (pen to paper) permits only non-verbal communication. It misses the components that makes up the key ingredients in building meaningful trust relationships. As the instructor you must build credibility over time- starting with the initial attention of a student and building towards more impact long-term. Video feedback allows individualized and personalized education, which optimizes student learning outcomes. It has all the qualities of the traditional mindset plus value-add. 4) What impacts have you made through the use of video? Video recording holds me accountable and to be “on” when providing feedback and interacting. The ability to asynchronously and synchronously connect with my current and former students means that I am able to be more clear, concise, approachable and more focused. It is easy to forget that we were once on the other side of the desk or podium as a student. The most significant gift to give to the other side is approachability and trust; eliminating that there are actually sides. This allows for the inquisitive mind to feel safe and free to make mistakes without judgment and with a safety net. Using this technique, I have observed that I am reaching an audience that isn’t yet confident in themselves or their abilities. I can provide support when they wouldn’t have known to seek it out. 5) What potential impacts do you see in video learning? That’s a loaded question. The answer to this question is really embedded in our vision for the Digital Academic Revolution. It is not just how, but also when and where, we can impact using the “screen-coaching” approach. We can remove physical and time barriers and provide an on-demand approach to collecting and transferring knowledge. The Khan Academy has established a foundation of asynchronous learning, but with generalized (not personalized) content. There is potential to create archives of customized learning material. Mentoring can become a powerful way of reaching anyone, anywhere, anytime. Learning is only restricted by the creativity of the minds that connect. The approach is scalable – any environment that requires training and transitions can use in-house resources to optimally train, prepare and support the next generation of learners, and allow the current generation of leaders to be taught a new trick or two. 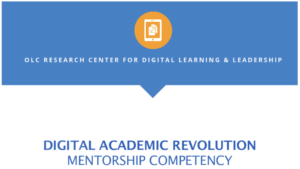 Digital Mentorship and Digital Literacy through “screen coaching” permit a forum in which educators can be prepared for this brave new world. 6) What tools do you use to effectively make this impact and why? There are two complimentary components to using screen coaching. There is now (live) and later (recorded). Technology has finally caught up with our capacity to digest information synchronously and asynchronously. NOW: The best tool in the global marketplace for synchronous communication is Zoom. It is reliable, robust, scalable, and most importantly it is simple to use. Zoom Video Communications permits screen sharing, various modes of webinars, and is platform independent. Zoom empowers learners to go from the back row to the front row and seamlessly integrates face-to-face communications. Live means in the moment, in person, with all the ambiance and texture of dynamic interaction. Benefits are: quick clarifications, quick refinement, quick affirmation, quick stimulation of all things needing to be done now. Training considerations to avoid communication pitfalls: processing speed, speaker-centric vs audience-centric, over-stimulation of the senses, and information overload. LATER: The best tool in the global marketplace for asynchronous communication is Screencast-O-Matic. Tivo, the first mainstream digital video recorder, made VCRs obsolete in the early 2000s. Screencast-O-Matic screen recording mirrors the next step of that revolution in video recording. We no longer need the hardware box; we have the capacity to run a video recorder on any platform and create a solution to capture any screen-based resource, anywhere, anytime. Recorded means on-demand, private, with all the comfort of choice and location being self-determined. Some of the benefits of recording are elaborate clarifications, complex refinement, long-term affirmation, completeness of thoughts, with instant replay and archiving capacity. Training considerations to avoid communication pitfalls: lack of planning and organizing, lack of rubric, lack of creativity leading to disengagement of the audience, and lack of literacy in the use of the tool. 7) What advice would you give to educators ‘looking’ to take their teaching toward holistic (multi-sensory) learning? Remember your own roots. If you could go back to that special moment, when you felt proud because of encouraging words, a kind smile, a powerful embrace of intellectual pride – wouldn’t you want to experience that over and over? Reading is imperative, talking is essential, caring is critical. We connect with our learners in the classroom, in the office, in our writing, and with our minds. When we interact with another human being we can’t just pretend they don’t have a face, emotions or moods that influence our own emotions – the ability to be excited, proud, motivated, inspired, and eager to please. The screen is the closest tool to be able to hold the hand and capture the mind, of the person trying to share their feelings and love for learning. It’s important to see the passion of the person that wants us to fall in love with their favorite subject, lesson, company or solution. Video adds so much more than just visual and auditory feedback. It empowers the full saturation of all of the senses. Being capable of doing this well requires competent communication, practice, and a willingness to make mistakes. Being literate in holistic learning becomes the gateway to unlock ALL of the learner’s potential, in particular, those with non-traditional learning skills. Being literate requires modeling and mentoring. Once you are willing to mentor, you are on the path to holistic learning. Don’t talk at, but with, your learners and guide them on the path of success.